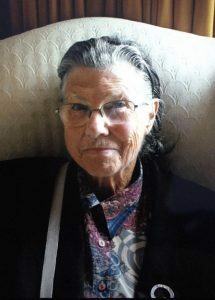 The Vancouver Police are asking for the public’s help in locating a missing 81-year-old woman who was last seen this afternoon on Vancouver’s Westside. Jenny Russell left home today at around 2:00 p.m. near West 5th Avenue and Blanca Street. Mrs. Russell has dementia and has not returned to her residence. Her absence is out of character and her family is concerned for her well-being. Mrs. Russell is white female, 5’5″ tall, has a medium build, and shoulder length grey hair. She wears prescription glasses, and was last seen possibly wearing grey pants. Anyone who sees Jenny Russell is asked to call 9-1-1 and stay with her until first responders arrive. This alert, "CANCELLED: Missing 81 y/o woman Jenny Russell" imported on 2018/06/19 07:46 was originally posted to the "VPD Media Releases" web site and is provided here for alerting purposes. Please see the original post for authoritative information and updates on the missing person.